Rarely these days does an affordable family home emerge into the Old Grove property market. Yet here at number 12 you can make that happen. This original home has been recently renovated and the neutral palette will favour personal touches. Immaculately presented this home welcomes you into the open lounge and dining room from the enclosed porch that serves as a mudroom. The exposed beams of the living room bring a sense of snug warmth to the space. The kitchen is partitioned but still social with its flow to the living room. The generously proportioned bedrooms with carpet and BIRs, are set in their own hallway and enjoy green glimpses from the verdant surrounds. The bathroom is fresh and modern and boasts great storage. The laundry shares an open nook with the kitchen and has its own cupboards so not to put a strain on the rest of the fitout. The kitchen includes a DWS, s/s wall oven and the induction hob is only 12 months old. The energy needs of the house are efficiently met with 10 solar panels. Outside the deep driveway links to the SLUG and through the rear to an undercover passageway and out into the yard. The garden is flourishing and there is lots of interest for budding green thumbs, and the utility shed assists with gear and supplies. 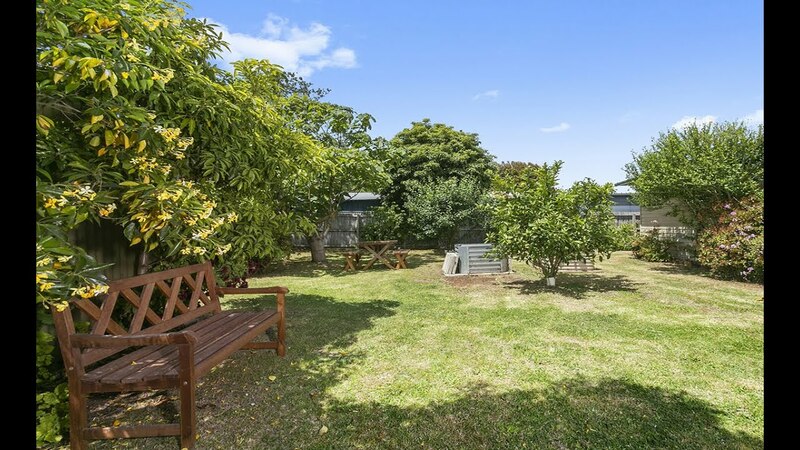 The house is set deep into the block and gives opportunity for a front fence to be built to offer a secure haven for pets and little ones, plus stow a trailer or boat. Additionally, there is amazing scope to reach further into the front garden with an extension. (STCA) This lovely neighbourly street of Lorikeet lives up to its name, with thriving native birdlife fluttering about. Further enhancing this peaceful setting, the house is positioned closer to the no-through end. This superb location is zoned for the highly-sought after Ocean Grove Primary School, that is just a 15-minute walk. All the treats of The Parade’s retail precinct can be reached on foot, or by car in 4-minutes. The whole family will love the natural coastal assets that are in abundance in Ocean Grove and beyond. Act Now!